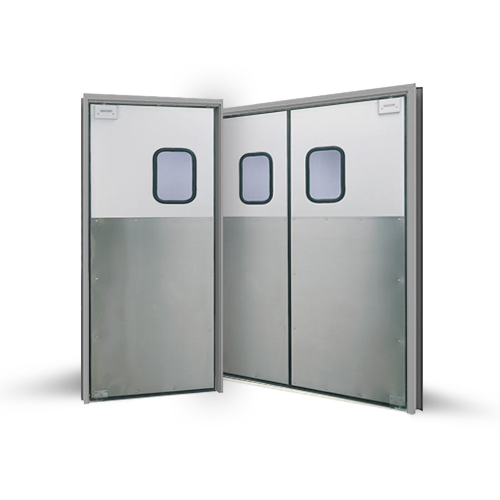 SCG-1 traffic doors are installed in kitchens, restaurants, banquet halls, cafeterias, hospitals and hotels around the world. 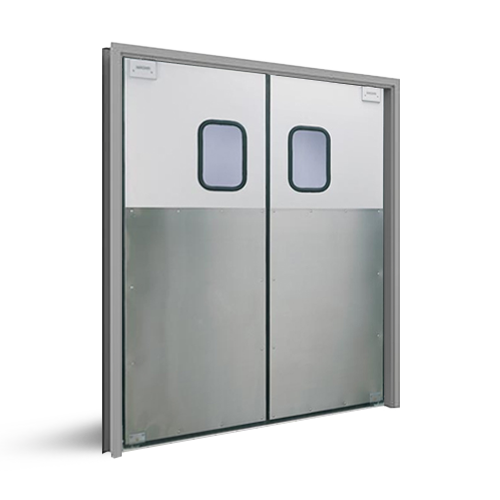 These very attractive traffic doors offer the classic look and durability associated with stainless steel. 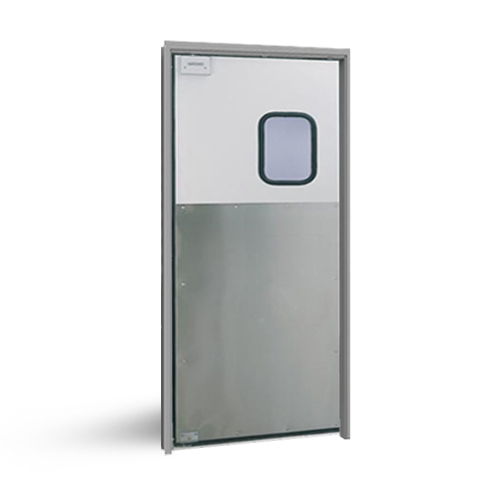 With a perimeter seal, the SCG-1 is ideal for use in walk-in coolers with a temperature differential of 10-30 degrees. They are constructed of a 3/4” sustainable, moisture resistant composite wood core and clad on both sides with tempered aluminum alloy and 48” high stainless steel base plates. Standard scratch-resistant 9” x 14” acrylic vision panels are set in black rubber molding. 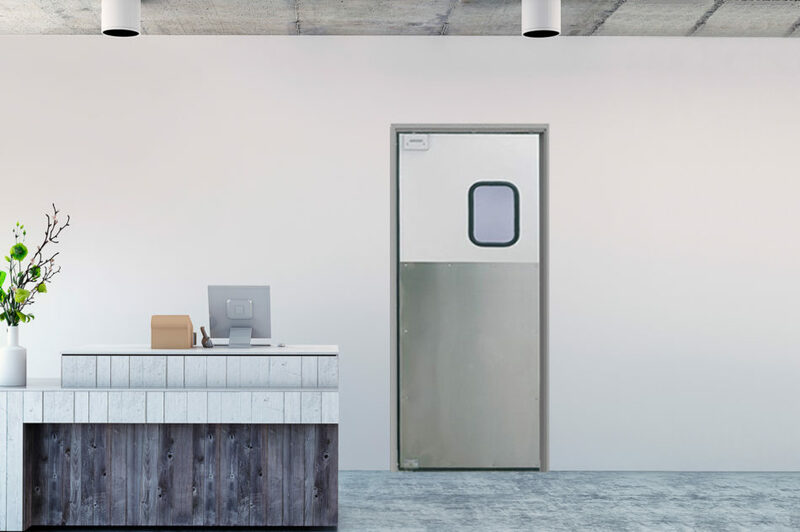 These doors operate on the Easy Swing Hinge® System pioneered by Eliason more than fifty years ago, and still the smoothest operating and most reliable hinge system on the market today. Custom windows, impact plates, easy spring bumpers and other options are available.